The Republican National Committee is pouring resources into Colorado, adding more than a dozen staffers as a new Senate candidate and sagging poll numbers for Democrats raise GOP hopes of ending the party’s decade-long drought on top-of-the-ticket wins in the state. 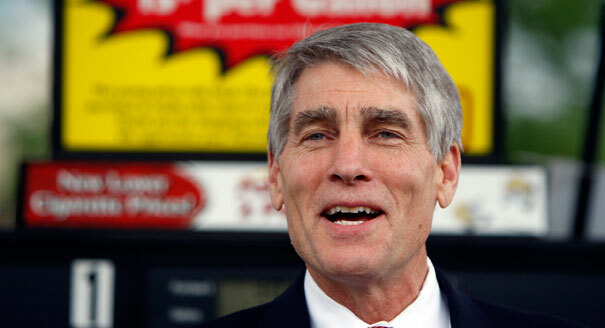 The additions come after Republicans got a top-tier recruit to challenge Sen. Mark Udall and a prominent former Congressman entered the crowded primary to challenge Gov. John Hickenlooper. The RNC is hiring 11 new field workers, as well as a director of Hispanic outreach and two additional Hispanic field staffers. That will increase the party’s national staff in the perennial political swing state to 20. The RNC will also open 12 field offices statewide, party officials said. The RNC says it will have more people on the ground in Colorado than in 2010. In that year the state was a rare disappointment for the party during a national Republican wave. The GOP’s candidate for Senate narrowly lost to Democrat Michael Bennet, while Democrat John Hickenlooper easily won the governor’s office in a three-way race that featured former Rep. Tom Tancredo as a third-party candidate. In 2012, President Barack Obama won the state and Democrats took both chambers of the state legislature partly because of their party’s superior field operation. Some analysts wrote off Colorado for Republicans as an example of how the party has lost ground by alienating young and Hispanic voters. Republican Rep. Cory Gardner shook up the state’s politics late last month by announcing he wants to challenge Udall. Gardner is battling state Sen. Owen Hill for his party’s nomination, but he has been many Republican donors and operatives’ top choice in the race. Gardner declined to run last year, but he changed his mind as Udall barely edged possible challengers in a recent Quinnipiac University Poll. Democrats stepped up attacks on Gardner. On Monday, the Colorado Democratic Party released a Web video criticizing the congressman for supporting a measure that could outlaw abortion; voting for Rep. Paul Ryan’s proposal to transform Medicare; and opposing citizenship for people in the country illegally. “The closer you look, the more you’ll see, Cory Gardner’s agenda is just too rigid, reckless and wrong for Colorado,” the spot says. Republicans are optimistic about retaking at least one chamber of the Colorado state legislature after recalling two Democratic state senators last year for their votes for gun control. The picture is cloudier in the governor’s race, where six Republicans, including Tancredo, are vying for their party’s nomination to challenge Hickenlooper, whose poll numbers are rising. Some Republicans hope former Rep. Bob Beauprez, who entered that race Monday, can consolidate the field and beat Hickenlooper. Beauprez badly lost a 2006 race for governor.